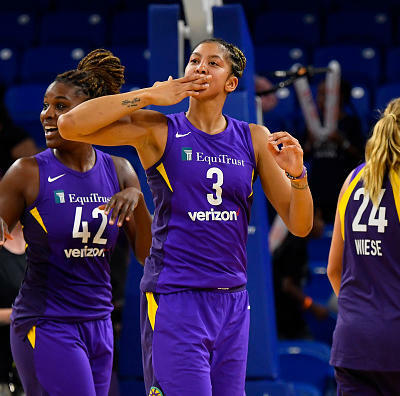 Steve Pimental provides the best DFS plays and optimal lineups for Friday's five-game WNBA slate. 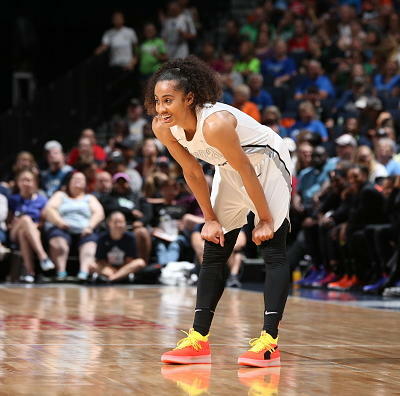 Its hard to believe the 2018 WNBA season is coming to an end. We have one more big slate of games Friday before all six teams play Sunday in the last game of the season. Though most of the playoff teams have been determined, most of those teams are still fighting for a higher seed and thus a better chance to advance in the playoffs. Las Vegas and Dallas are still fighting for the eighth and final playoff spot, and they actually play each other Friday. As you might expect this far into the season, injuries are a big factor in Friday’s slate. The Liberty have so few healthy bodies they had to start a player who was previously ruled out. 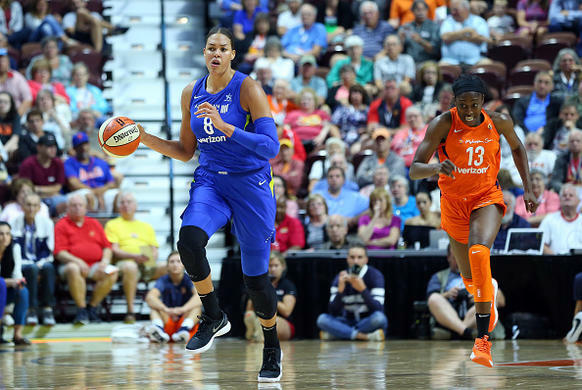 The Wings finally got Liz Cambage back Tuesday only to lose Glory Johnson to a neck injury, and the Mystics’ starting backcourt is dealing with injuries as well. As always, be sure to check the starting lineups before tipoff in case you need to make any last minute adjustments to your own lineups. 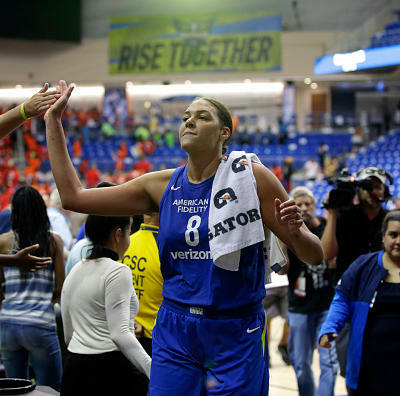 Liz Cambage, F, DAL $ 8,200 $ 12,300 In her first game back from a head injury Tuesday, Liz Cambage had her worst fantasy game in a month, finishing with 15 points, 13 rebounds and two blocks. If that is her floor, sign me up. 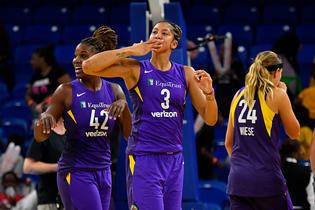 Candace Parker, F, LA $ 8,000 $ 13,000 Parker has scored 10 more fantasy points per game on the road than at home this season. 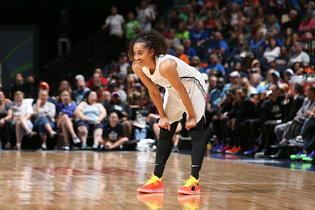 She is averaging 14.5 points, 7.0 rebounds and 7.5 assists against Washington this season. 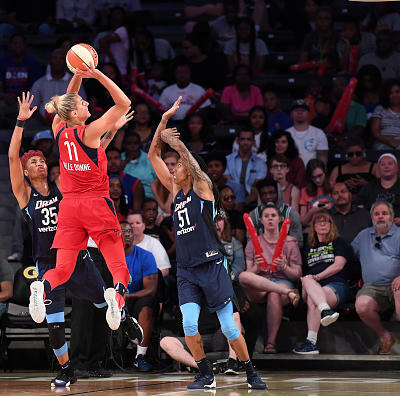 Maya Moore, F, MIN $ 7,500 $ 12,100 Maya Moore is averaging 24.5 points, 5.5 rebounds, 2.5 assists and 2.5 steals over her last four games. 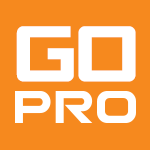 DeWanna Bonner, G, PHO $ 7,500 $ 11,100 Bonner has scored at least 30 fantasy points in each of her last five games. 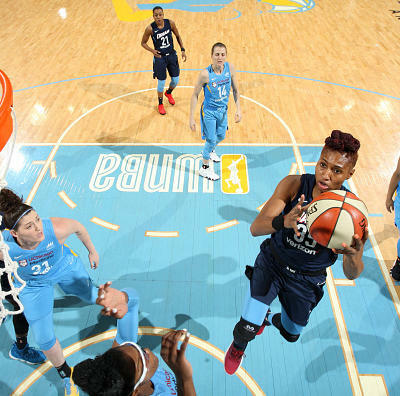 Elizabeth Williams, F, ATL $ 6,600 $ 8,100 Williams is averaging 14.5 points, 6.3 rebounds, 1.8 assists, 3.3 blocks and 1.3 steals over her last four games. I will gladly take those numbers at her price. 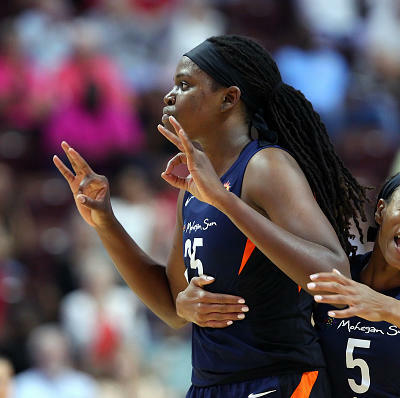 Jonquel Jones, F, CON $ 6,500 $ 9,100 Jones played 25 minutes Tuesday for the first game in over a month, and she finished with 27 points and 10 rebounds. 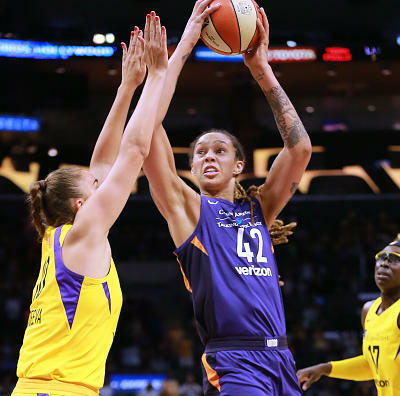 She is averaging 35.9 points and 14.1 rebounds per 48 minutes since the All-Star break, and she would be a must-play if we could guarantee 25+ minutes per game. 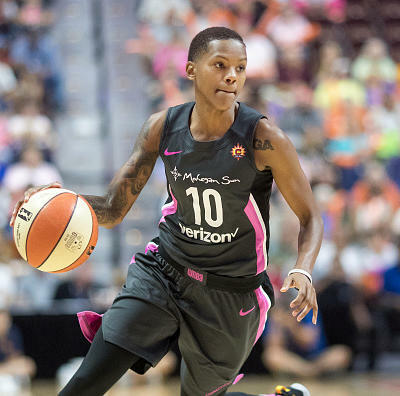 Kayla Thornton, F, DAL $ 5,700 $ 6,200 Thornton has played at least 29 minutes and scored double-digit points in each of her last three games and four of her last five. 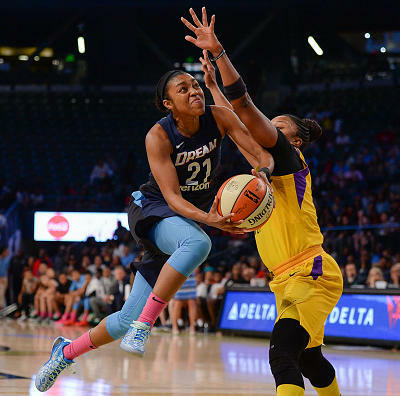 She is a cash play, especially if Glory Johnson is out again. 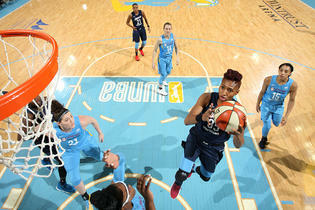 Allisha Gray, G, DAL $ 5,400 $ 6,800 Allisha Gray has played at least 34 minutes and scored at least 30 fantasy points in each of her last two games. She should be pretty safe in what is essentially a must-win game, but I will like her even better if Kaela Davis is ruled out. 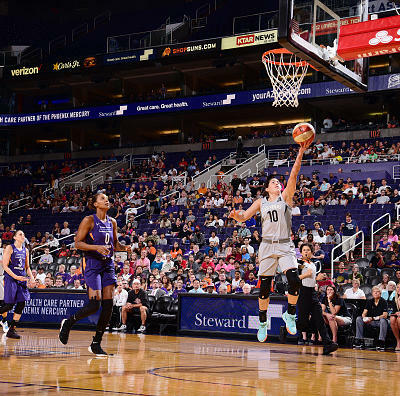 Kia Nurse, G, NY $ 4,400 $ 4,800 Kia Nurse has at least 11 field goal attempts in each of her last two games and four of her last six. 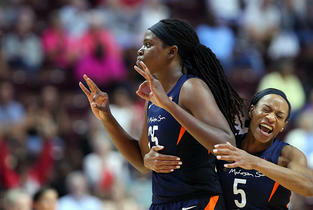 With Epiphanny Prince and Shavonte Zellous doubtful Friday, Nurse should see plenty of minutes and shots again Friday. 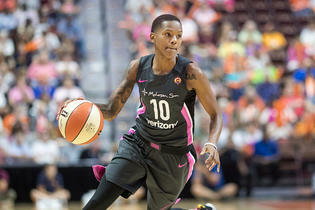 Monique Currie, F, WAS $ 3,900 $ 3,900 Currie had 14 points and five rebounds in 27 minutes Tuesday with Ariel Atkins out. Atkins is questionable Friday, and Currie is a GPP play if she starts again. Tanisha Wright, G, MIN $ 3,600 $ 5,200 Wright has played at least 28 minutes in each of her last three games, averaging 10.3 points, 3.7 rebounds, 5.3 assists and 1.7 steals. 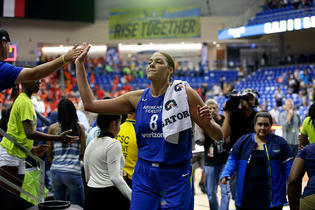 She has been a bit inconsistent, but we know the minutes will be there with Danielle Robinson out. Marissa Coleman, F, NY $ 3,600 $ 3,200 Coleman was ruled out for Wednesday's game and then got the start and led the team in field goals in 24 minutes. The Liberty are a hot mess right now, but Coleman is the only forward you can trust if Tina Charles is out again. 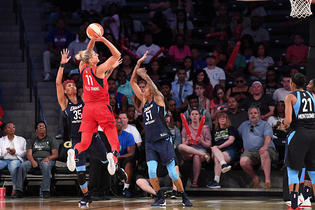 Tayler Hill, G, DAL $ 3,200 $ 3,600 Hill got her first start of the season Tuesday and played a season-high 32 minutes while matching her season-high with 10 field goal attempts. 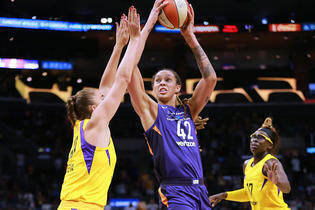 She is playable so long as she starts, though she will be more valuable if Glory Johnson and Kaela Davis remain out.